Strong women paddling brings to mind the image of freedom. This image was found from a 1970s advertising. This image was found from a 1970s advertising and brings to mind the strength that women have. 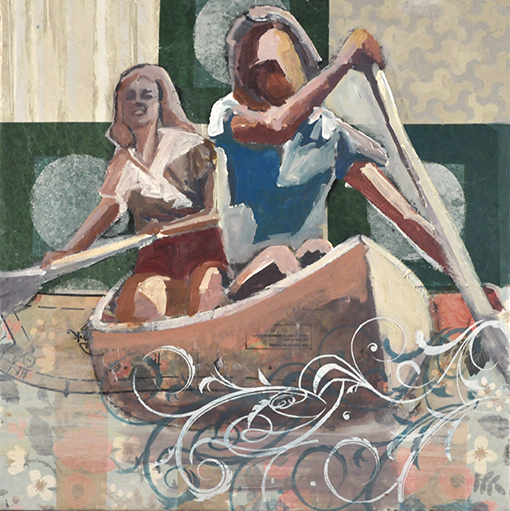 A canoe image is iconic and celebrates freedom and adventure. Placing this image within a context of empowerment puts it into a realm of freedom. In the 1970s, the second wave of feminism was happening and advertising was capitalizing on this spirit. It is just as relevant today.